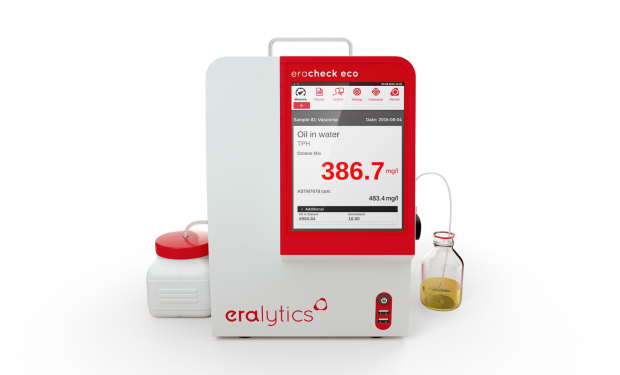 ERACHECK ECO combines the inherent advantages of IR methods like a fast and highly precise measurement with the CFC-free and low-cost solvent cyclohexane offering highest precision even for sub-ppm oil-in-water measurements. 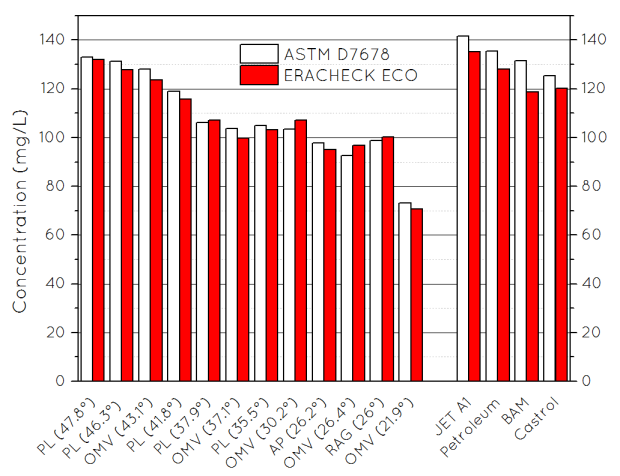 Being fully compliant with the advanced standard ASTM D8193, ERACHECK ECO’s cost-efficient and eco-friendly measurement technology provides the most economical alternative for oil-in-water testing on the market. 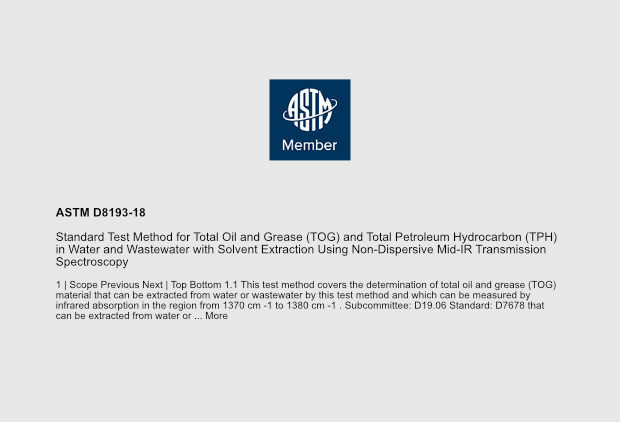 ASTM D8193 employs a direct IR transmission measurement of oils and greases in the extraction solvent. 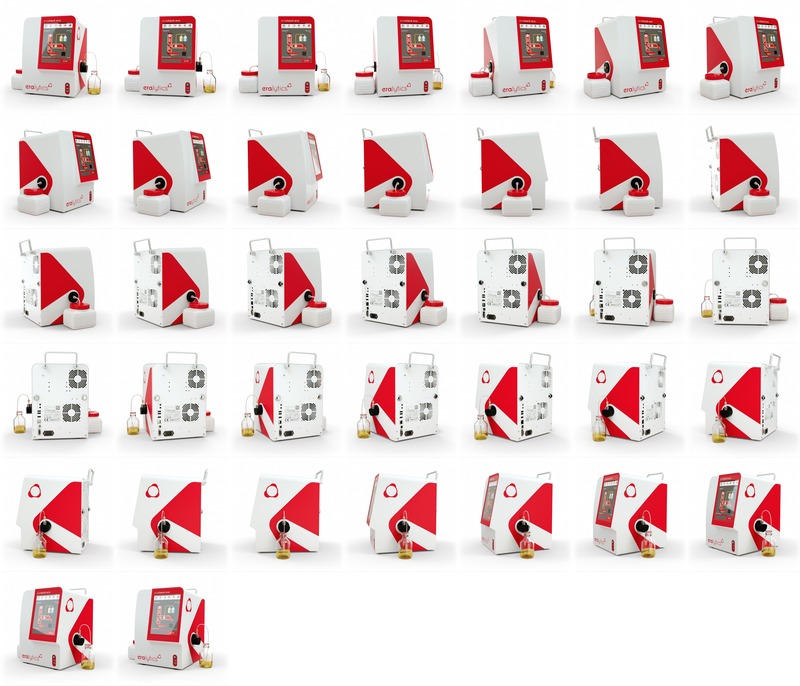 The method does not require any solvent evaporation like gravimetric or solventless IR methods and can therefore be used to measure all fractions of the sample, including the light ends. Furthermore, a more complete fraction of extracted hydrocarbons are accessible by this method as compared to GC methods that do not detect fractions eluting outside the defined time window. 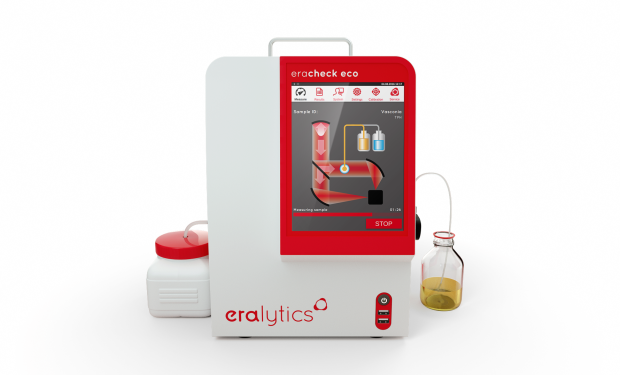 With its easy and intuitive operation, ERACHECK ECO enables the straightforward creation of user calibrations and correlations, ensuring excellent correlation with other established oil-in-water methods like the gravimetric method EPA 1664A, IR-methods ASTM D7678, ASTM D7066 and ASTM D3921, as well as the gas chromatography “OSPAR” method ISA 9377-2. 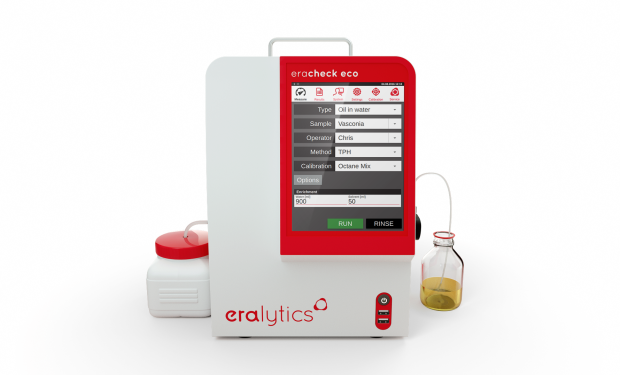 ERACHECK ECO guides you through the measurement procedure. The liquid volumes have to be entered depending on the actual volumes used for the extraction of the sample.